We’re halfway through the summer season, which means we have collectively already read A TON of books this summer! One of the best parts after publishing the annual Summer Reading Guide is seeing which books YOU actually read and enjoy. 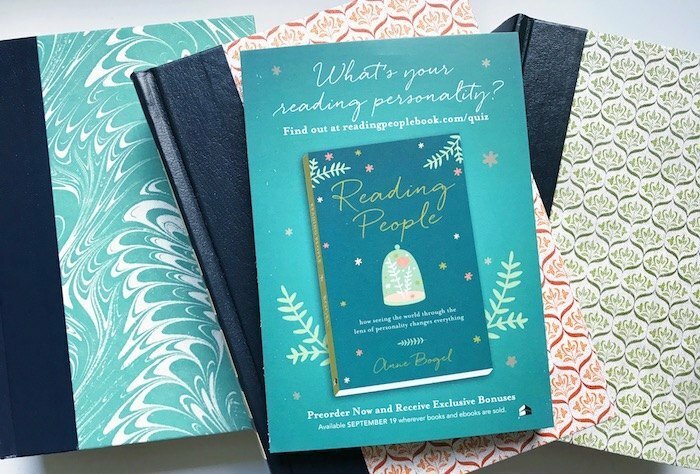 My favorite ways to stay in touch are in the Modern Mrs. Darcy Book Club and on Instagram. On Instagram, you can check out #summerstooshort to see community photos and reactions to this year’s Summer Reading Guide. To start: the titles in the 2017 Minimalist Summer Reading Guide top the list. Check those out right here. Based on your online chatter, shares, and MMD Book Club forum posts, it’s been fun to see which titles are rising to the top of your lists. Today I’m sharing the top 7. That all being said, these are the titles you all are loving the most so far this summer. How’s your summer reading going? 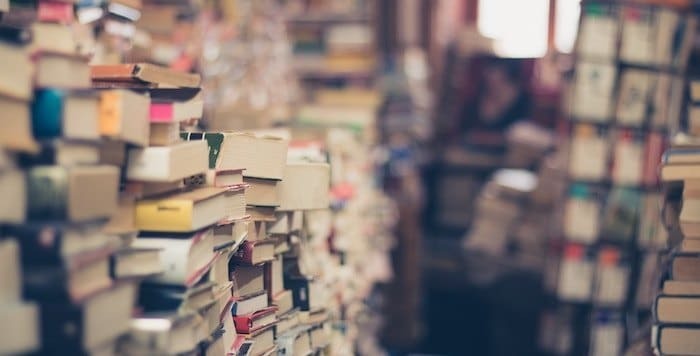 What are the best books YOU have read so far this summer? One of my favorite books I’ve read this summer isn’t on your summer reading guide, but I did find it through your blog! “This Is How It Always Is” by Laurie Frankel is what I read for this month’s book club meeting, and I can’t wait to get together with my girls to discuss it! I’m so glad to see The Alice Network taking off! I’ve been singing its praises since I read it earlier this year! I have not read any of these yet, but do plan to read the Alice Network with my book club early next year (not sure I can wait that long!). My favorite books so far this summer were Beartown (Backman) from your minimalist list, The Mothers (Bennett) and Eleanor Oliphant is Completely Fine (Honeyman). Not really a fan of Anything is Possible (Strout), but I did like it more than her other novels, so thanks for that recommendation, too. Happy reading! 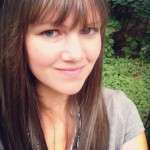 Love the podcast and your blog! Although many of these are on my “to read” list, I haven’t read any of them 🙁 However, Eleanor Oliphant is Completely Fine is, by far, my favorite summer read so far. Highly recommend! The only one that I have read off this list was “He Said/She Said,” and it was the most meh book from my summer reading(not the worst, that was saved for a book in which nothing bad happens to the main character). I think the writer established the voice of the two characters well, and I would definitely read another book by this author. But the ending felt too neat and too gimmicky for my tastes. 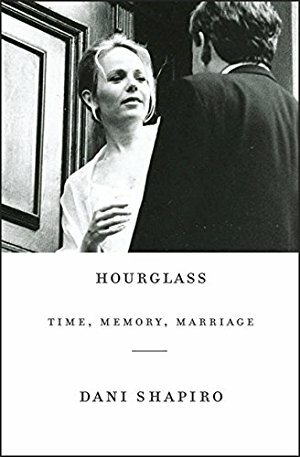 In fairness, my reaction could be that I read some amazing books this summer(Rabbit Cake, Lincoln in the Bardo, and The Sound and the Fury), and this one just did not measure up. I was also underwhelmed by He Said/She Said. I agree with you about the ending, plus, once everything is explained I found that I didn’t really like any of the characters. The one thriller I’ve read this summer that I did really enjoy was The Dry. I also really, really loved Tell the Truth, Shame the Devil. Been in a reading slump but I’m currently reading “A man called ove” and listening to “Behind Closed doors” Both books I’m really liking so far. Loved Eleanor Oliphant is Completely Fine and The Beach House. Enjoyed The Dry, The Distant Hours and Small Great Things. This past week I read most of the Truman Award nominees for this year. It is an award given to YA novels in Missouri voted on by students. There were quite a few good ones, but I especially liked the first in a dystopian series by Pintip Dunn, Forget Tomorrow. The whole list has great recommendations this year for middle schoolers! From the list, I also liked The Austen Project, and I’m excited to start The Alice Network! 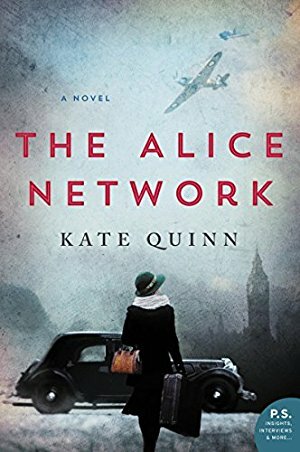 I just finished The Alice Network – it was so stressful in a good way. And I’m reading Eleanor Oliphant is Completely Fine now because it needs to go back to the library, but The Jane Austen Project and The Lost Book of the Grail are coming up soon. Beartown & Dream Land Burning have been my favorites off the list so far. Currently reading Never Split the Difference & The Girl Who Drank the Moon and LOVING both of them! I’ve read Every Wild Heart, so far. It’s not the best book ever, but it was a really sweet read that wrapped up exactly how you wish real life would go. Several of the summer reading books are definitely on my TBR. Maybe I’ll get to them before the end of summer :-). The Alice Network is definitely one I’m itching to buy. I have Every Wild Heart currently from the library and have read 1/3 to 1/2 and just can’t get into it. Does it get more interesting as it goes along? I just am not relating to the characters, I think. Hah, I related more to the daughter than the mother in most cases! I wouldn’t say it gets more interesting. I think if I had borrowed it from the library, I might not have stressed myself out to finish it if I had other things coming due, as well. I paid money for my copy; I was reading all of it! How is The Dry not on this list? So glad you recommended it in your guide. I normally don’t like suspense novels like that, but it was so much more. I have several of these on my hold list at the library as well as Allison Pataki’s new book. Because it was on the minimalist list! I’m so glad you enjoyed it. I loved The Lost Book of the Grail. It had a great blend of mystery and characters while still being light. I also was really looking forward to The Confusion of Languages and your recommendations didn’t disappoint. It was a beautiful with rich characters that left me thinking about relationships. I hated This is How it Always Is. I picked it up the day your list came out and had to abandon it after about 100 pages. The writing was great, the characters were interesting, but honestly the whole thing read like it was written by a whiny millennial who has never had kids but wants to tell you how to raise them. I had a hard time with this and the preachy-ness of the story. 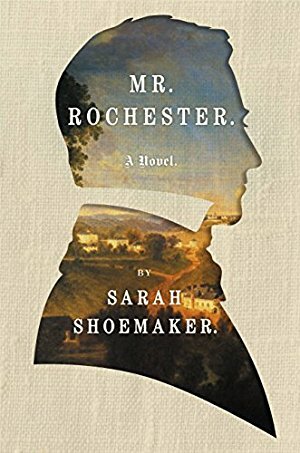 I’m looking forward to to Mr Rochester next for my list. Totally agree with you on This is How it Always is, and I feel like a black sheep because so many are loving that book. I read the whole thing and never did come around to it. Beartown made me cry. I love his writing. I stop and re-read so many sentences because they are so true. Also, The Stranger in the Woods, I Liked My Life, The Autobiography of Mrs Tom Thumb and Answered Prayers. Big stack from the library waiting for me! Feel exactly the same about Backman! I haven’t read many this year because either the library doesn’t have them or I’m number 18 on the hold list. I think my summer reading list might be turning into a fall reading list. Although it’s very long (over 500 pages), The Weight of Ink is well worth the read. Also loved The Female of the Species. Currently reading Hello, Sunshine. How interesting to see this recap, because out of the 7 I’ve already read from the summer reading guide, I’ve read only one of the ones on this list! Did love it though – The Jane Austen Project was right up my alley and an excellent beach read. From your guide (I think!) I am most interested in getting to The Dry and Beartown. I’ve been working my way through the Minimalist Guide (with other book group selections thrown into the mix) and have truly enjoyed each recommendation! So far I’ve only been able to get my hands on The Stars are Fire and When Dimple Met Rishi. Overall I enjoyed both of them, but I didn’t LOVE them. (Although TSAF definitely kept me turning pages late into the night!!) Now I’m waiting for my library to get some more new releases while I read Lab Girl and one of Ann Cleeves’ Shetland novels. I LOVE the BBC series Shetland, which I know is based on the Ann Cleeves novels. I would love to hear what you think of them –especially if you have watched the series too. I love the setting and the characters, but also the moodiness of the atmosphere. I’m wondering if that is something the series did well in capturing from her novels or if that is their own interpretation.I have always debated picking up one of her novels, but with so many on the TBR stack and such a fantastic TV series going already I have had a hard time actually committing to one. Hi, Lauren! I actually started reading the novels because my husband and I had finished the TV show on Netflix, and I was going through withdrawal! I’m currently on the fourth novel; they’re not the best books I’ve ever read, but I’m enjoying them. Ann Cleeves puts a big emphasis on the mood and the atmosphere, and the setting often feels like an extra character. Similar to the show, her novels aren’t fast-paced page turners. She really delves into the lives of the characters and their lives on this unique group of islands; her books are definitely more character-driven than plot-driven. (She loves to flesh out even her most minor characters.) The show is different enough from the novels that I think you could enjoy both independently. The BBC made a lot of changes (for instance, in the books there’s no Tosh, Sandy is bumbling and incompetent, Perez MEETS Fran and Cassie early in the first novel, the cases turn out differently, etc. ), but they did maintain the feel of the novels. I hope that helps! Thanks for this review of the books! I also love the show and the moodiness of the setting. It sounds like I would enjoy the books as I love character-driven stories. I’ll have to put these on my list. That’s really interesting! I can’t picture Sandy as bumbling, he’s such an important part of the show (so is Tosh!)! Awesome “who done it” book is The Kept Woman by Karen Slaughter who is a great Georgia author. Can’t put the book down! I loved The Lost Book of the Grail. 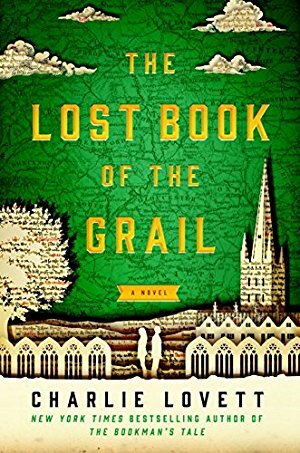 I loved how the author blended the backstory from different historical eras during the Middle Ages with the current story of Arthur, Bethany, their friends, and their efforts to save an ancient library; and the continuity of our literary and cultural heritage from ancient times to today. Another book I surprisingly loved was The Secret Life of Souls, some of which was horrifying, but there was a really smart brave dog named Caity. I am just finishing a BOM book called Killers of the Flower Moon. It really is interesting. I even though I don’t usually read non-fiction I am glad that I picked this one. My favourite by far was Beartown. That being said I loved the Alice Network and the Jane Austen Project also. Halfway done Do Not Become Alarmed and love it so far. Next up is Dreamland Burning and the Lost Book of the Grail. 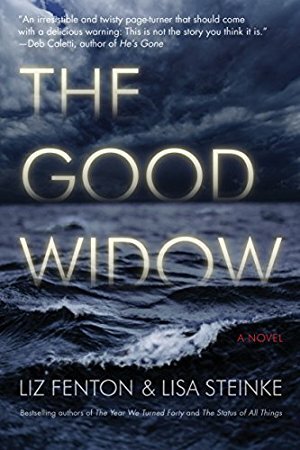 I am intrigued by both the Good Widow and Mr. Rochester (slowly reading Jane Eyre before I dig in to this one)…. sigh, I wish I could read faster! My favorite, so far, this summer has been Beach House For Rent by Mary Alice Monroe. She is one of my favorite authors. I am anxious to read The Jane Austin Report….sounds interesting. Just finished He Said/She Said last night, and lukewarm about it. It wasn’t as bad as Into The Water, that book was a major disappointment. I’m so happy I checked them out at the library. I did enjoy The Dry, Do Not Become Alarmed, I Found You, I See You, and my favorite so far is probably My Cousin Rachel by Daphne du Maurier. 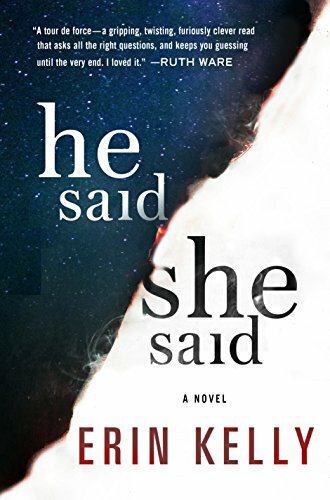 I just finished He Said/She Said last night. It was too dark and slightly disturbing. It also seemed like the twist in the story happened just because the author fed me bad information early on. Meh. Maybe I’m not the type who should be reading thrillers? I did loved The Dry. I mean, I loved The Dry. My favorite this year? Beartown and The Dry. Loved them. Beartown just went to some heartbreaking places but I never felt that it went ‘after school special’ on me. I also enjoyed He Said/She Said. A nice new perspective and topic to move the plot along- refreshing. Just picked up The Weight of Lies and I’m so digging it. It’s got that gothic feel that I love. Crumbling old hotel, secrets, that sense of foreboding.. it’s super readable. Devoured The Alice Network – great read! My summer reading has been almost nonexistent thanks to school and work. But my favourite read so far is Around the Way Girl by Taraji P. Henson. I devoured Henson’s memoir in 24 hours a few Sundays ago. Henson is 100% real, raw, and apologetic! Her story is inspiring on so many levels. I can’t recommend it enough! Hilderbrand’s latest, The Identicals. Thanks for the recommendation! Also, started reading The Shark Club by Ann Kidd Taylor and I am fascinated! I’ve been hearing good things about Fierce Kingdom by Gin Phillips. It’s got 125 holds, but I lucked out and found a copy on the ‘Best Bets’ shelf at the library today. I can’t wait to dive in! Well, I have only read 1 of the top 7, but I have read about 1/3 of the books on the summer reading guide. I was happy to get my new shiny library card today since moving to northern VA just a few weeks ago. I was even happier to see The Stars Are Fire and Lincoln in the Bardo (not on the summer reading guide, but one I’ve been desperate to read!) on the shelves and immediately available! Thus far, my faves have been I Found You, The Jane Austen Project, and The Perfect Stranger. I’m a sucker for suspense! I didn’t care for Anything is Possible. I am simultaneously reading The Hate U Give and The Stars Are Fire. I’ll let you know my end thoughts! I am curious about The Perfect Stranger! I will definitely give it a try. I am a sucker for suspense as well! Have you ever read any of Heather Gudenkauf’s novels? Sooooo good! Highly recommended.? Beartown, Allie & Bea, Before the Rain Falls & Close Enough to Touch have been my top books of the summer. I cannot say enough how much I love Close Enough to Touch. I didn’t want it to end. I had to pace myself so I didn’t rush though it. Loving My Cousin Rachel by Daphne du Maurier and also At Home In The World by Tsh Oxenreider! My Cousin Rachel is my favorite fiction read of the summer so far! And I loved Tsh’s book as well! I also really enjoyed The Zero Waste Home by Bea Johnson! Ah, My Cousin Rachel is an old favorite. I might need to go back for a visit with that one. I’ll admit, I’m very intrigued by The Jane Austen Project. I’m kind of a sucker for time travel regardless! My favorite reads so far this Summer are “The Little Paris Bookshop” and “Lincoln in the Bardo”. I’ve got several more of the summer reading selections on my TBR but so far my favorites have been When Dimple Met Rishi, The Hate You Give, and Beartown. I never would’ve read Beartown if it hadn’t been on this guide, and I loved it. It was a tough topic, but I’m really glad to have read it. Before this summer I also read The Dry, which was great. A nonfiction book I enjoyed this summer was Radium Girls, about women in the 1920s who worked in a factory using Radium paint and were made very sick by it. It was very readable, and the women’s story was inspiring. I have read The Jane Austen Project which was great! Jane Austen and time travel – loved it!! I did not want The Fall of Marigolds to end. I loved it so much I read Secrets of a Charmed Life which was un-putdownable. A Man Called Ove made me laugh and cry, sometimes at the same time. The Wife, the Maid, and the Mistress was so good; I did not see the ending coming. Currently I’m reading The Identicals. I have read Beartown, which I loved! I have also read The Dry, which I thought was “meh.” I got the Jane Austen Project from the library, but I was liking it so much that I bought my own copy! I am reading The Alice Network now and really enjoying it too. I have a bunch more coming from the library, and I can’t wait! My vacation starts in two weeks, and I will be ready. I love this post! I have the summer reading guide printed, on my nightstand, and have read and thoroughly enjoyed The Alice Network, The Dry, and Beartown. But then I started The Luminaries which is awesome, 830 pages, and not on the list! Summer is flying by, I am only on page 380 of The Luminaries, and I want to read more from the MMD Summer Reading List. Now I know where to start! I have only read the Good Widow and Dreamland Burning so far! I am surprised Dreamland Burning isn’t here! Such a great book! Happy you recommended it! 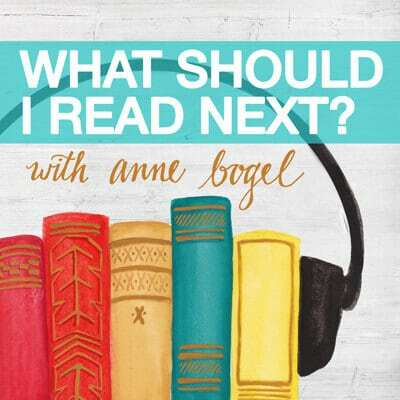 My summer favorites have been: The Hate U Give, Beartown, Behold the Dreamers, and Crossing to Safety (not new, but a recommendation I heard on the podcast). My very favorite of my favorites was Behold the Dreamers. 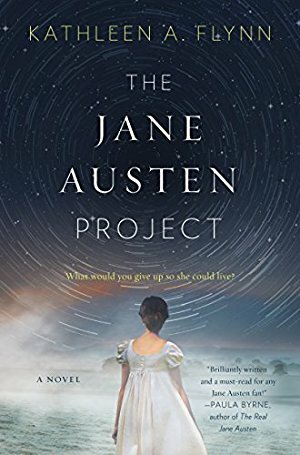 I LOVED THE JANE AUSTEN PROJECT! I was always surprised at the directions it took and how well Ms. Flynn wrote the part where the 2 time travelers first meet Jane Austen. She really managed to build the suspense that you’d feel about actually meeting someone famous from the past whose life is something of a mystery. I also read HE SAID SHE SAID and thought Laura made so many stupid mistakes that put her in danger. It makes readers almost wish something bad would happen to idiots who won’t do the right thing to protect themselves when they KNOW who they are in danger from. I don’t like these kinds of contrived ‘Women in Jeopardy’ stories. It makes me want to strangle people that I should feel sympathy for. My favorite summer read this year (so far) has been Wishful Drinking by Carrie Fisher. Sadly hilarious is the only way I can describe it. Beartown is now on my all-time favorite list,right after “all the light we cannot see” ‼️ Have you all read one of his .other books…..”Britt Marie was here” She is the female version of ” Ove” ? Also,nobody has mentioned “Faithful” by Alice Hoffman. Super good . This is my first visit to this lovely site, so forgive me if I’m going on too long….. just one more title. ” The 12 lives of Samuel Hawley “. Have you the site “amazing librarians ?